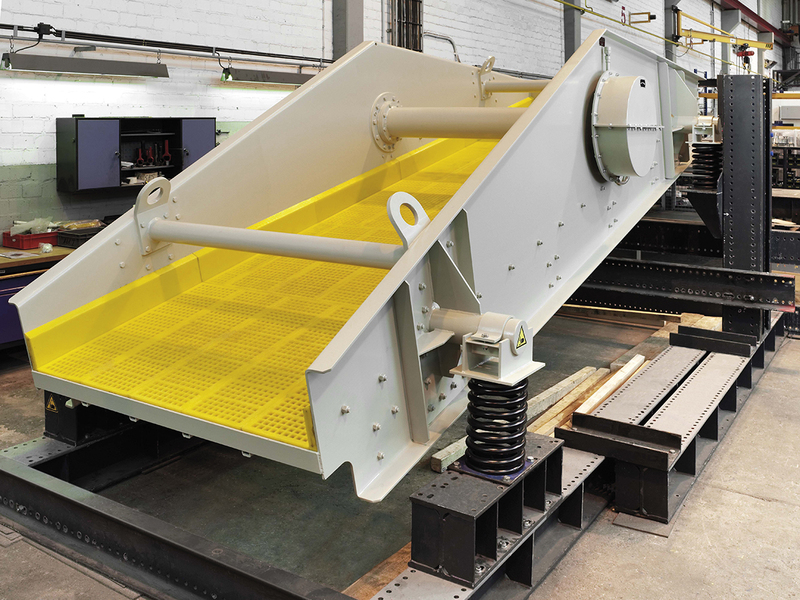 A SIEBTECHNIK circular-motion screening machine is the classic solution for process requirements in screen classification. 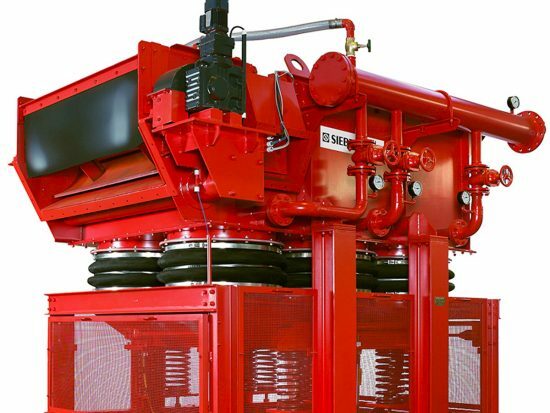 It is a freely vibrating screening machine that vibrates in a circle and is mounted on helical compression springs. Screen box and unbalance mass are optimally coordinated in their mass ratios. This enables a harmonious vibrating motion to be transmitted to the screened material at all points on the machine. Speed and vibration amplitude of the machine can be varied specifically to suit the product and so ensure a lastingly perfect screening result. The robust construction using and combining standard component parts ensures high flexibility and enables customer-focused solutions. Moreover, machines can be constructed with a low-maintenance running time and a long service life. 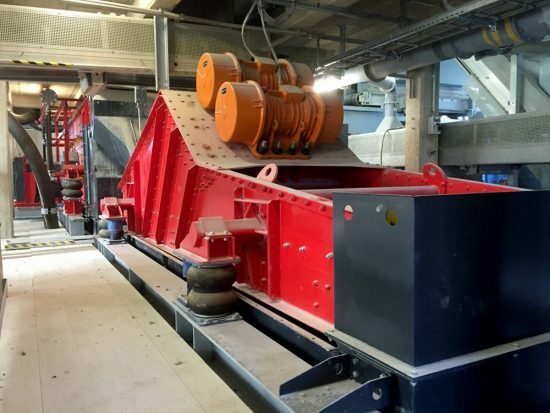 Our REKORD V (shaft with unbalance mass), VZ (cell drive) and VR (unbalance motor) series screening machines offer separation sizes of between 0.8 and 300 mm and a screening area of between 0.5 and approx. 60 m². 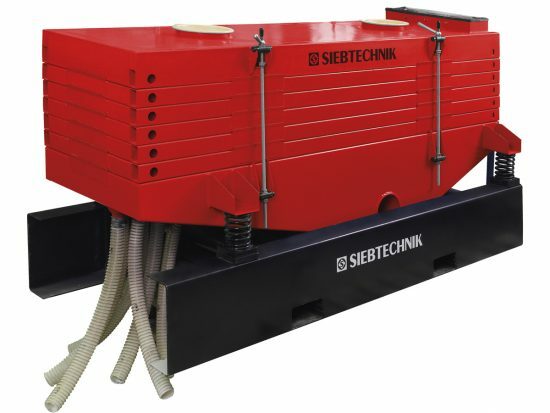 These machines can be set up for a vibration amplitude of between 2 and 14 mm, depending on the product. The screen panel tilt can be between 10° and 30°, and the screen set-up can comprise between one and three screen decks according to requirement. The screen box is set up to hold lengthways or crossways tensioned screen panels or for level screen decks and naturally also for system screen cloths by different screen cloth manufacturers. For dusty screening material we supply on request circular-motion screens with a dust cover or a closed dust protection box. Individually adapted screening aids in the form of beating devices or spraying systems are also available. 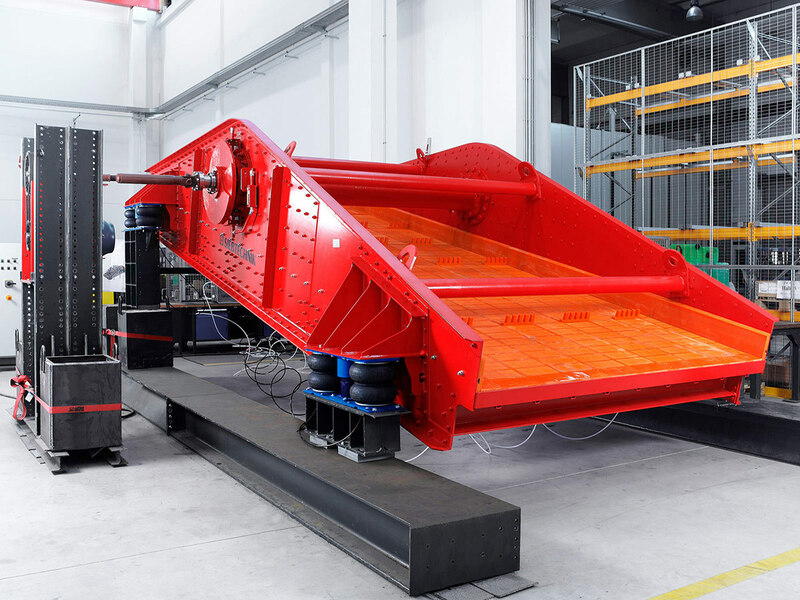 SIEBTECHNIK circular-motion screening machines are freely vibrating machines, that is, the vibration circle diameter adjusts itself freely in accordance with the mass ratio of screen box and unbalance mass. Circular-motion screens have a steep throw angle and therefore require a screen panel tilt of between 10° and 18°. 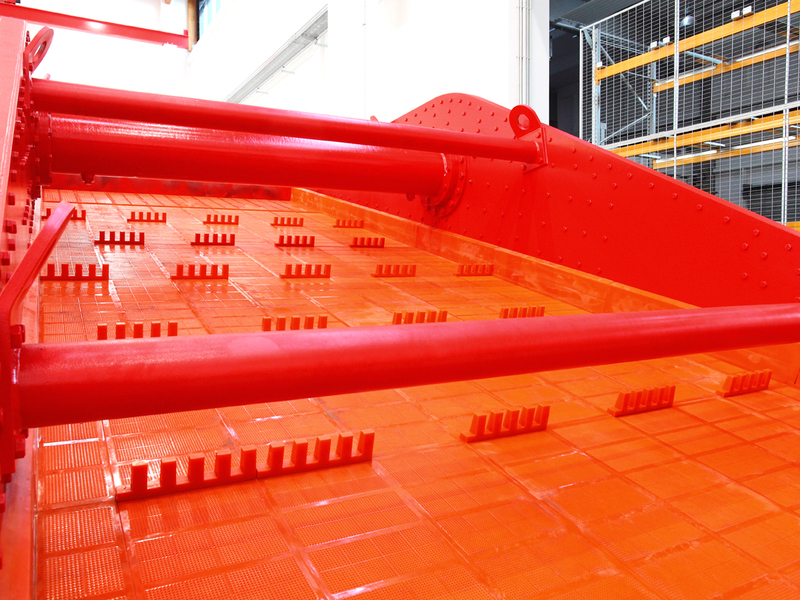 Exceptions to this are dewatering screens with a tilt of between 3° and 5° and steeply tilted screens, e.g. sand screens, with a tilt of between 25° and 40°. The screen box, consisting of side walls and cross-members, can withstand all static and dynamic forces. The drive shaft with the unbalance masses runs in two rolling bearings that are arranged at the centre of gravity of the screen box. 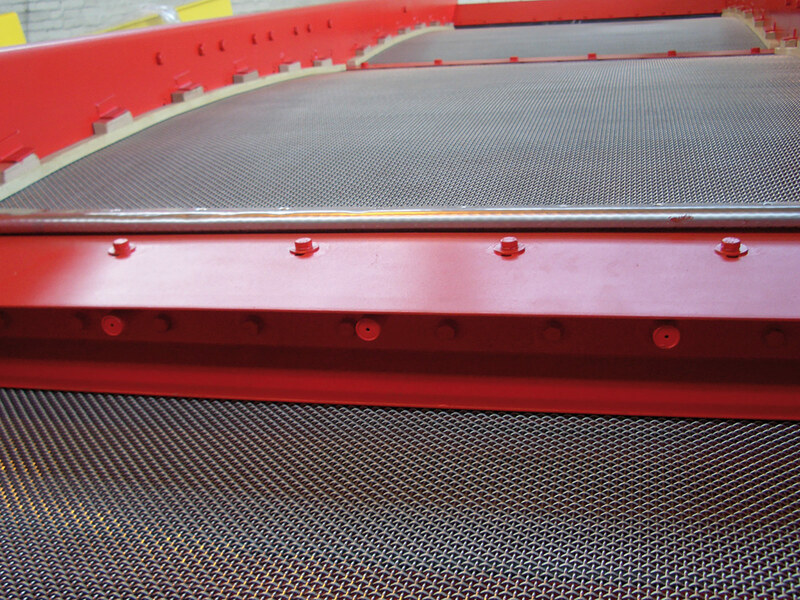 The screening machine is drive by V-belts or by a flexible coupling. 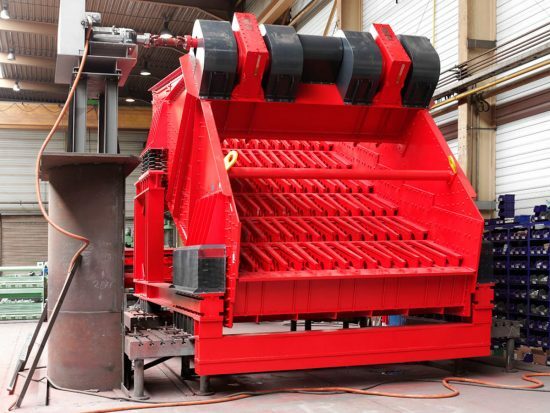 Larger screening machines are additionally fitted with an intermediate transmission shaft. Bearings are either oil- or grease-lubricated. 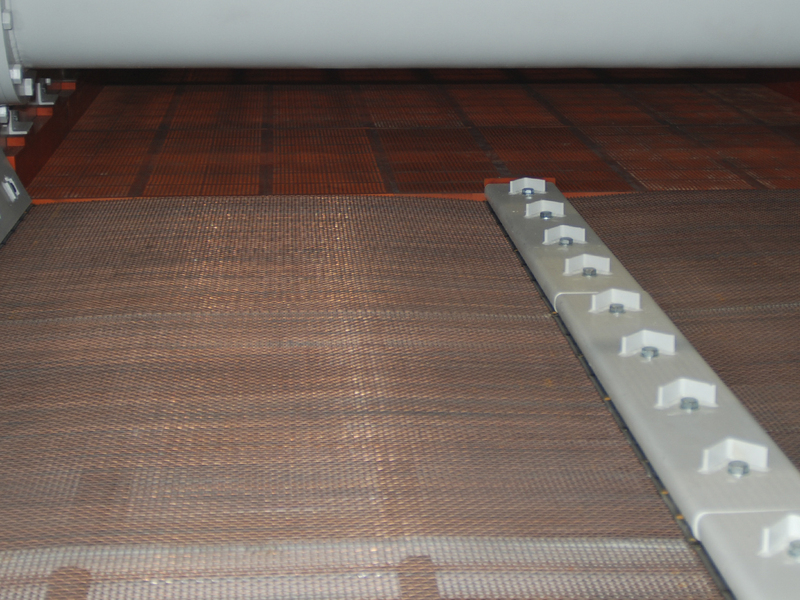 The screen box is elastically supported against the substructure on 4 spring elements. It is optionally set up to hold lengthways or crossways tensioned screen panels or for level screen decks. 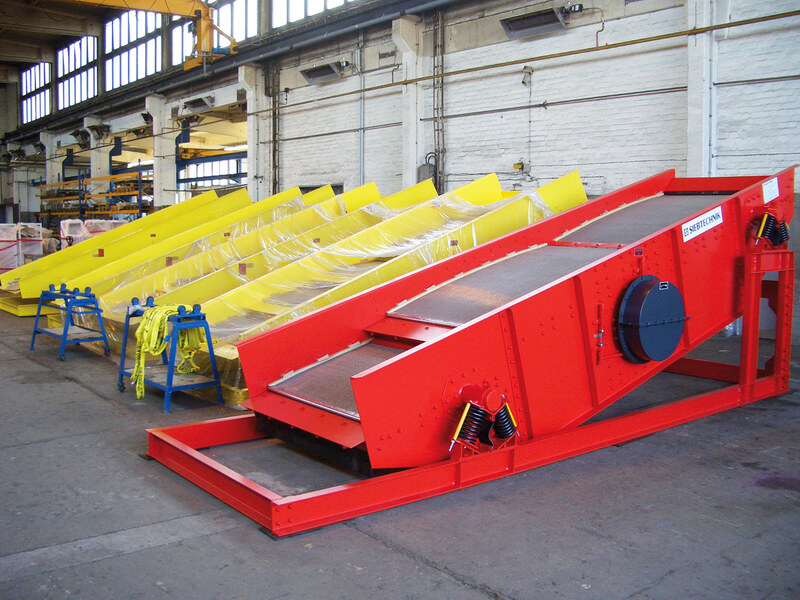 For dusty screening material we supply on request circular-motion screens with a dust cover or a closed dust protection box.